The best jobs for ENFPs require concern for others, independence, and flexibility. These rankings are determined by how important all three of those aspects are to a job, based on ratings from occupational experts. Jobs that require extremely low amounts of social interaction have been removed. All data displayed on this page is from the U.S. Department of Labor's Occupational Information Network and the Bureau of Labor Statistics. See our methodology. ENFPs in the business field can be found in positions where they get to manage events and projects independently, such as fundraising manager or event planner roles. These positions also allow ENFPs to work closely with clients to ensure the success of their projects. The jobs on this list require bachelor's degrees and have annual median salaries ranging from around $50,000 to $100,000. Meeting, convention, and event planners are hospitality industry experts who work with clients to produce events. Event planning requires collaborating with a variety of contacts. On a daily basis, meeting, convention, and event planners may work in an office or on-site. They meet with clients, solicit bids from service providers, coordinate and monitor event activities, and manage billing for event services. ENFPs make good meeting, convention, and event planners because they know how to work independently and they can adapt to a variety of situations. Most professionals in this field have a bachelor's degree in event management or hospitality. Experienced event planners may hold a Certified Meeting Professional (CMP) certification from the Events Industry Council. Professional event planners may also earn certifications in specialized areas such as government meetings and wedding planning. Sales agents in the financial services industry specialize in selling securities. On a daily basis, financial services sales agents conduct market research and connect buyers with companies and commodities. This is a fast-paced position, and many sales agents receive commission pay. Sales agents do some of their work in an office setting, but they may also travel to meet with clients or to trade on exchange floors of securities and commodities markets. The flexibility and independence required in this job make it a good fit for ENFPs. Most financial services sales agents have bachelor's degrees in business, finance, or a related field and receive on-the-job training. Agents must also pass a series of Financial Industry Regulatory Authority (FINRA) exams if they want to become brokers or investment bankers. When employers need to fill job openings, they turn to human resources specialists to recruit, screen, and place workers in positions. In their everyday work, human resources specialists communicate with management about job opening requirements, screen applications, and interview job prospects.They also process background checks and other pre-hire paperwork. Some HR specialists may also travel to job fairs and other off-site recruiting events. ENFPs care about others and are very independent. That makes them good candidates for this type of work. Most human resources specialists have bachelor’s degrees in business, human resources or a related field. Some employers look for specialists with previous experience in human resources. Public relations managers build and maintain positive images for companies and organizations. Fundraising managers help raise money to support the operations of organizations. In their everyday work, public relations managers may work with company leadership to develop the company image, write press releases and contact media outlets. Fundraising managers develop fundraising strategies, set goals, communicate with potential donors, write grants, and plan fundraising events. This work requires the flexibility to adapt to changes in clients’ needs and customer opinions. Thus, ENFPs make strong candidates for this type of job. Public relations managers and fundraising managers usually have bachelor’s degrees in fields like public relations, journalism, or communications. Some college level coursework in advertising, public speaking, and technical writing is typically helpful for these career paths. ENFPs interested in pursuing a creative career will find three strong options on this list. These positions require flexibility, as fashion designers and actors regularly receive feedback on their work that requires them to make adjustments. ENFPs in these positions will find they are expected to complete projects independently and on time. Music directors lead bands, choirs, orchestras, and other musical groups during live performances and in studio recording sessions. In their everyday work, musical directors select musical arrangements, conduct rehearsals, audition new performers, and choose solo artists. Most musical directors specialize in a specific genre of music such as classical, gospel or jazz music. They work in schools, concert halls, churches and recording studios, and also spend some of their time traveling to performance venues. Musical directors work independently to make decisions. ENFPs are known for their independence, making them good musical directors. Musical directors know music in their specialty areas well. Some musical directors have formal education such as a bachelor’s or master’s degree in music. Actors portray characters in movies, TV, other forms of media, and in theaters for live audiences. Actors research character backgrounds, audition for parts, memorize lines, and follow directors’ instructions to perform a role. Most actors work long, irregular hours on sets or on stage. For example, some acting jobs require early morning movie shoots or long nights and weekends in theaters. Because ENFPs are flexible and independent, they thrive in this career. Actor gigs can be sporadic, so some actors also teach acting or hold a second job in a related field. No formal education is required to be an actor, but some actors have a bachelor’s degree in theater or performing arts. Many actors also improve their craft by taking theater workshops or performance courses. Fashion designers work for apparel companies, design companies, and retailers to create original clothing and accessories. They use computer programs to create designs, select fabrics, and add embellishments. They attend trade shows to meet with suppliers and vendors and collaborate with other designers to create fashion collections. ENFPs have the independent mind required to be good fashion designers. They are also flexible and can adapt their designs to changes in fashion trends. Many designers have bachelor’s degrees in fashion design or merchandising. Employers may prefer fashion designers who complete internships and have a portfolios displaying their work. A natural concern for others makes ENFPs a great fit for jobs in the healthcare field; this list specifies the best four healthcare positions for ENFPs. The jobs on the list range from requiring a high school diploma to work as a speech-language pathology assistant to requiring an M.D. to work as an obstetrician or gynecologist. Advanced practice registered nurses (APRNs) coordinate patient care. Depending on the state, APRNs may work independently or collaborate with doctors to provide care. Some everyday tasks for APRN’s include recording patient medical histories, performing physical exams and medical tests, creating patient care plans, and diagnosing medical conditions. They also advise patients and family members about how to manage health conditions. This job requires deep concern for others. ENFPs are known for caring about others, making them strong candidates for APRN positions. An RN license and a master’s degree in nursing are required to be an APRN. APRN’s can also choose to earn a DNP (doctor of nursing practice) degree. Speech-language pathology assistants work under the supervision of speech-language pathologists in hospitals, clinics, and schools. They design and implement individualized treatment plans to help children and adults who have problems speaking, swallowing, or controlling their throat muscles. They assist speech-language pathologists during screenings, counsel family members of patients, and complete administrative tasks. This work requires flexibility in order to adapt treatment plans for different patients, and compassion in order to help patients make sounds, pronounce words, and expand vocabulary. ENFPs have concern for others and are very flexible, making them great candidates for this work. Speech-language pathology assistants must complete an American Speech-Language-Hearing Association (ASHA) approved associate degree program. The associate degree program should include 100 hours of supervised fieldwork in speech pathology. Obstetricians and gynecologists are physicians who specialize in medical care for women. Obstetricians concentrate on pregnancy and childbirth, whereas gynecologists diagnose and treat diseases in women. On a daily basis, obstetricians perform prenatal screenings, provide prenatal care, and deliver babies. Gynecologists perform well-woman exams, prescribe contraceptives, and offer general medical care to female patients. Obstetricians and gynecologists must have compassion for patients and must be independent enough to make clinical decisions. ENFPs make great obstetricians and gynecologists because they have both of those traits. To become an obstetrician or gynecologist, one must have a bachelor’s degree and a medical degree. A three to seven-year residency and an additional specialized internship are also required. Nurse anesthetists, also known as Certified Registered Nurse Anesthetists (CRNAs), collaborate with physicians to administer anesthesia in hospital settings, mobile surgical centers, dental offices, and clinics. Outside of surgical environments, nurse anesthetists provide care before and after surgical and therapeutic procedures. For example, in hospitals, nurse anesthetists may also provide consultations for respiratory and ventilatory care and cardiopulmonary support. ENFPs succeed in this career because they have the flexibility to adapt treatment protocols to individual patients. They also have concern for others, making them compassionate caregivers. CRNA’s must complete a doctorate in a nursing program accredited by the Council on Accreditation of Nurse Anesthesia Educational Programs. They must also pass a national certification exam. These four best education and human services allow ENFPs the opportunity to advise and educate others. Flexibility is an integral trait for all of these positions, as working so closely with students and clients can often result in unpredictable and stressful situations. The jobs on this list require bachelor's and master's degrees and have median salaries around $50,000 per year. Preschool and childcare center education administrators operate childcare and preschool programs. They plan activities, prepare budgets, and supervise staff. Administrators are responsible for hiring, training, and supervising teachers and other childcare workers. Administrators also create policies, develop curricula and standards, and make sure facilities are well maintained. This type of work requires independent-minded individuals to take initiative and keep programs organized. ENFPs will do well in this job, because they are independent and have concern for others. To become a preschool and childcare center education administrator, one typically needs a bachelor’s degree in early childhood education and some related experience in the field. Administrators must also pass a background check, and, depending on the state, might need to complete additional state training requirements. Adapted physical education specialists provide physical education to children and adults with exceptional needs because of developmental delays or other types of physical impairment. Specialists in this field adapt physical exercise routines so that they can be performed by students with physical or cognitive disabilities. This requires compassion and flexibility - two traits that ENFPs possess. Specialists typically follow an Individualized Education Plan and may collaborate with teachers and other education professionals. To become an Adapted Physical Education Specialist, one must have a bachelor’s degree in education, health, or a related field. Middle school teachers are educators that specialize in working with students in sixth, seventh, eighth, and sometimes ninth grade. They prepare students for high school by helping them build on fundamental skills learned in elementary school. In their everyday work, middle school teachers create lesson plans and teach classes. They grade assignments and work one-on-one with students to help them with specific challenges. They develop classroom rules and prepare students for state standardized tests. They also communicate with parents about student progress. 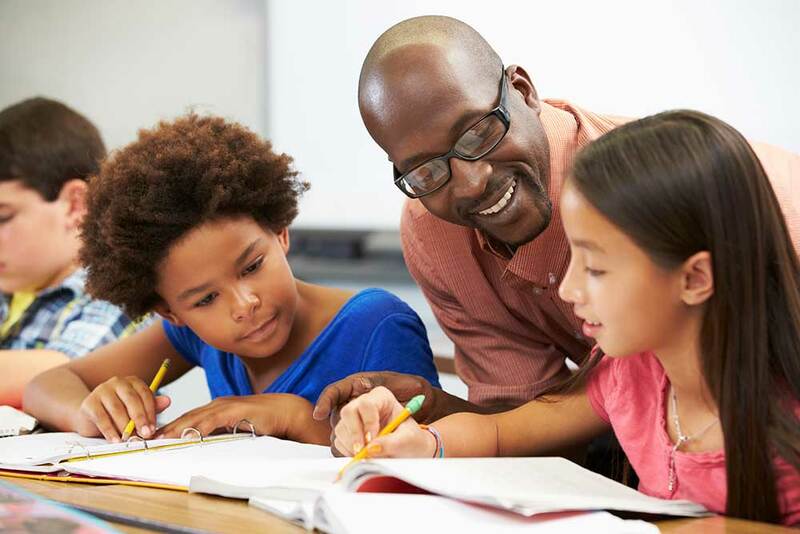 ENFPs make good middle school teachers because they care about their students and they have the flexibility to adapt lesson plans to students’ needs. To become a middle school teacher, one must have a bachelor’s degree in education. Each state has specific requirements that must be completed as a part of an education degree. For example, some states also require middle school teachers to specialize in a content area such as math, English, science, or social studies. Healthcare social workers help individuals understand medical conditions and make appropriate lifestyle adjustments. They may work in hospitals, clinics, or patient homes. After hospitalizations for serious illnesses, patients may need assistance transitioning back to their homes and communities. ENFPs’ independence is useful in this job because healthcare social workers must schedule services for clients such as medical transport to clinic appointments and home health care. Being a good healthcare social worker also requires concern for others - a trait that ENFPs are known to possess. Social workers convey information to patients and families about managing diseases. They also help families decide on geriatric or palliative care. Most social workers have Master of Social Work degrees that include supervised internships or practicums. A bachelor’s degree in social work qualifies individuals for assistant or administrative support positions in healthcare social work. These four jobs are the best support and service positions for ENFPs. All of these positions require high concern for others and ENFPs will be be tasked with answering questions and providing assistance to the public in these roles. All four of these jobs require high school diplomas, making them strong options for ENFPs not interested in pursuing an undergraduate degree. Residential advisors (RA) coordinate activities and manage college dormitories, group homes, shelter facilities, substance abuse facilities, and other shared residences. Most RAs receive on-the-job training. They serve as peer counselors and promote a sense of community in residences. Many residential advisers live in the buildings they manage. They may be tasked with coordinating with maintenance teams and cleaning crews to keep the residence in good condition. RAs must care about their communities and be independently driven to organize activities. For these reasons, ENFPs make good RAs. Residential advisors need high school diplomas. They also need to pass a background check and meet additional employer criteria such as a minimum age requirement and demonstrated interest in the organization or school that owns the residence. Recreation workers lead activities to help people of all ages improve their physical and mental fitness. They work with large and small groups in fitness and recreational centers, parks, nursing homes, and summer camps to lead activities such as sports, arts and crafts, and music. An average day on the job for a recreation worker includes some of the following activities: organizing and setting up recreational equipment, teaching participants how to perform an activity, and modifying activities for different ability levels. ENFPs make good recreation workers because they are independent and flexible. This means they are able to work unsupervised and adapt activities to different populations. To become a recreation worker, one must have a high school diploma and demonstrated skill in the area of instruction. Some recreation workers may have bachelor’s degrees with coursework in a relevant area. First-line supervisors of personal service workers manage personal service workers, such as hairstylists, golf caddies, and flight attendants. On a daily basis, they coordinate workers’ schedules and perform various tasks to maintain clean, safe and comfortable premises for workers and clients. Many workers in this category work in recreation industries, personal care services, residential care facilities, mental health and substance abuse facilities, and local government. ENFPs are successful in this line of work because they are independent and care for others. To get a job in this field, one needs a high school diploma and a background in a relevant field. For example, a first line supervisor in a large hair salon may need prior work experience as a hairstylist. Concierges work in hotels, apartment buildings, and office buildings. Their primary responsibility is to assist visitors and patrons with personal and administrative tasks. The responsibilities for a hotel concierge are varied. They deliver messages and packages to patrons and residents. They coordinate housekeeping and maintenance requests from residents and see that the requests are carried out. ENFPs are independent, making them good candidates for this type of work. Concierges may also arrange transportation, entertainment, and other business services on behalf of clients. Some concierges have a background in the hospitality industry and receive on-the-job training. Some hospitality programs also offer specialized certificates in the concierge profession. "ENFP Personality (“The Campaigner”)" 16 Personalities https://www.16personalities.com/enfp-personality. Accessed February 2018. "Meeting, Convention, and Event Planners" U.S. Department of Labor, Bureau of Labor Statistics, Occupational Outlook Handbook https://www.bls.gov/ooh/Business-and-Financial/Meeting-convention-and-event-planners.htm#tab-1. Accessed February 2018. "Securities, Commodities, and Financial Services Sales Agents" U.S. Department of Labor, Bureau of Labor Statistics, Occupational Outlook Handbook https://www.bls.gov/ooh/sales/securities-commodities-and-financial-services-sales-agents.htm#tab-2. Accessed February 2018. "Human Resources Specialists" U.S. Department of Labor, Bureau of Labor Statistics, Occupational Outlook Handbook https://www.bls.gov/ooh/business-and-financial/human-resources-specialists.htm#tab-2. Accessed February 2018. "Public Relations and Fundraising Managers" U.S. Department of Labor, Bureau of Labor Statistics, Occupational Outlook Handbook https://www.bls.gov/ooh/management/public-relations-managers.htm#tab-4. Accessed February 2018. "Nurse Anesthetists, Nurse Midwives, and Nurse Practitioners" U.S. Department of Labor, Bureau of Labor Statistics, Occupational Outlook Handbook https://www.bls.gov/ooh/healthcare/nurse-anesthetists-nurse-midwives-and-nurse-practitioners.htm#tab-4. Accessed February 2018. "Music Directors and Composers" U.S. Department of Labor, Bureau of Labor Statistics, Occupational Outlook Handbook https://www.bls.gov/ooh/entertainment-and-sports/music-directors-and-composers.htm#tab-4. Accessed February 2018. "Actors" U.S. Department of Labor, Bureau of Labor Statistics, Occupational Outlook Handbook https://www.bls.gov/ooh/entertainment-and-sports/actors.htm. Accessed February 2018. "Interpreters and Translators" U.S. Department of Labor, Bureau of Labor Statistics, Occupational Outlook Handbook https://www.bls.gov/ooh/media-and-communication/interpreters-and-translators.htm#tab-4. Accessed February 2018. "Fashion Designers" U.S. Department of Labor, Bureau of Labor Statistics, Occupational Outlook Handbook https://www.bls.gov/ooh/arts-and-design/fashion-designers.htm#tab-4. Accessed February 2018. "Speech-Language Pathologists" U.S. Department of Labor, Bureau of Labor Statistics, Occupational Outlook Handbook https://www.bls.gov/ooh/healthcare/speech-language-pathologists.htm#tab-2. Accessed February 2018. "Frequently Asked Questions: Speech-Language Pathology Assistants (SLPAs)" American Speech-Language-Hearing Association https://www.asha.org/associates/SLPA-FAQs/#a1. Accessed February 2018. "What is a Nurse Anesthetist?" University of Kansas Medical Center http://www.kumc.edu/school-of-health-professions/nurse-anesthesia-education/what-is-a-nurse-anesthetist.html. Accessed February 2018. "Physicians and Surgeons" U.S. Department of Labor, Bureau of Labor Statistics, Occupational Outlook Handbook https://www.bls.gov/ooh/healthcare/nurse-anesthetists-nurse-midwives-and-nurse-practitioners.htm#tab-4. Accessed February 2018. "What is an Obstetrician and Gynecologist?" U.S. News & World Report https://money.usnews.com/careers/best-jobs/obstetrician-and-gynecologist. Accessed February 2018. "Adapted Physical Education Specialists" Federal Student Aid https://studentaid.ed.gov/sa/prepare-for-college/careers/search/profile/summary/25-2059.01. Accessed February 2018. "Middle School Teachers" U.S. Department of Labor, Bureau of Labor Statistics, Occupational Outlook Handbook https://www.bls.gov/ooh/education-training-and-library/middle-school-teachers.htm#tab-4. Accessed February 2018. "Social Workers" U.S. Department of Labor, Bureau of Labor Statistics, Occupational Outlook Handbook https://www.bls.gov/ooh/community-and-social-service/social-workers.htm#tab-2. Accessed February 2018. "What is a Residential Advisor?" U.S. News & World Report https://money.usnews.com/careers/best-jobs/residential-advisor. Accessed February 2018. "Residential Advisors" U.S. Department of Labor, Bureau of Labor Statistics, Occupational Employment Statistics https://www.bls.gov/oes/2014/may/oes399041.htm. Accessed February 2018. "Recreation Workers" U.S. Department of Labor, Bureau of Labor Statistics, Occupational Outlook Handbook https://www.bls.gov/ooh/personal-care-and-service/recreation-workers.htm#tab-2. Accessed February 2018. 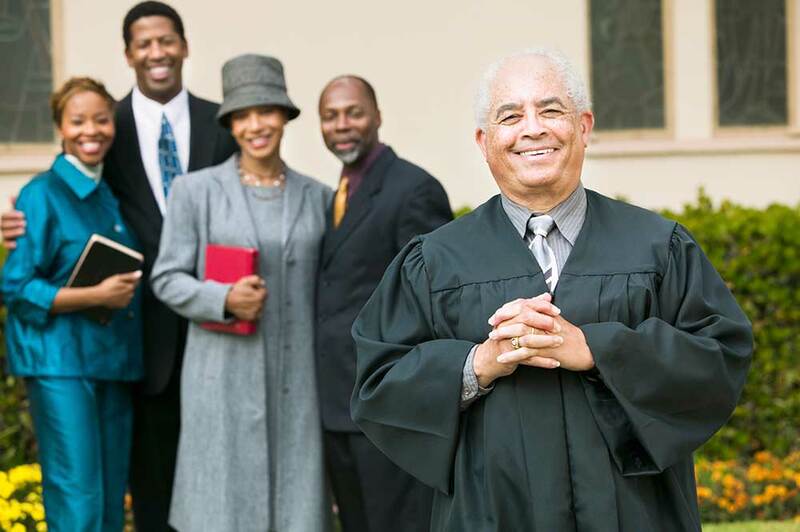 "First-Line Supervisors of Personal Service Workers" U.S. Department of Labor, Bureau of Labor Statistics, Occupational Employment Statistics https://www.bls.gov/oes/current/oes391021.htm#ind. Accessed February 2018. "Concierges" U.S. Department of Labor, Bureau of Labor Statistics, Occupational Employment Statistics https://www.bls.gov/oes/current/oes396012.htm. Accessed February 2018. "Art of Concierge Certificate" The International School of Hospitality http://tisoh.edu/programs/hotel-management-programs/aoc/. Accessed February 2018.